New managed security service stops phishing attacks that evade email security technologies. 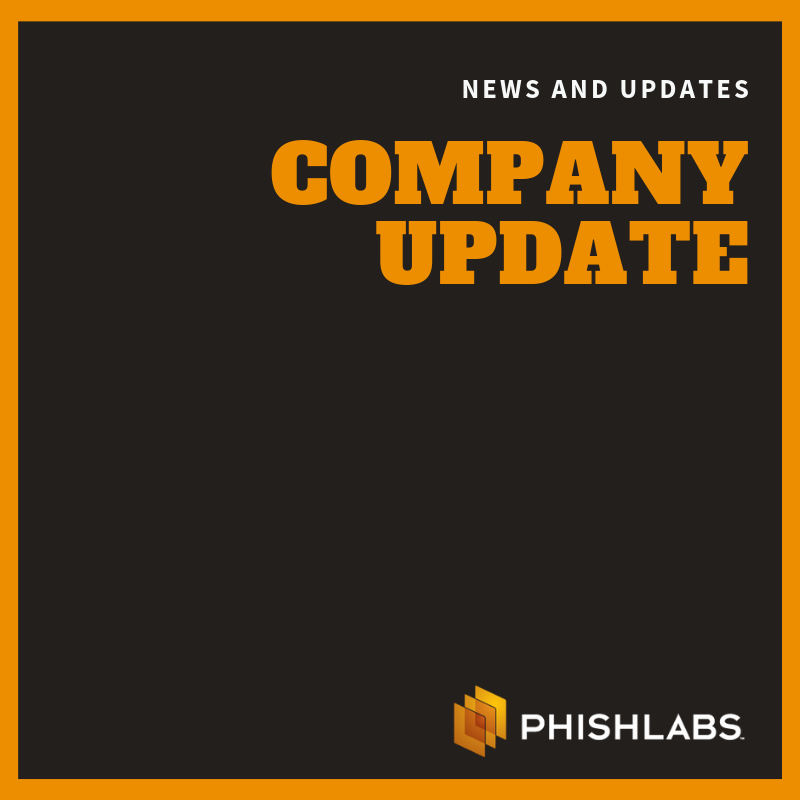 Charleston, S.C., October 26, 2017—PhishLabs, the leading provider of 24/7 managed security services that protect against phishing attacks, today announced the availability of Phishing Threat Monitoring & Forensics. With this new service, phishing attacks that go undetected by email security technologies are identified and blocked within minutes of reaching user inboxes. “Many enterprises are exposed when it comes to phishing. Attacks are still making it into user inboxes no matter what email security technologies they have. PhishLabs mitigates this risk by finding and stopping these phishing attacks in near real-time,” said Tony Prince, CEO of PhishLabs. Phishing continues to be the most prevalent vector for cyber-attacks. Ransomware, Business Email Compromise (BEC), Trojans, credential theft, and many other threats are deployed through phishing attacks. Even with advanced email security technologies in place, phishing emails still make it into inboxes where they trick users into divulging sensitive information, transferring funds, or executing malicious payloads. To reduce the risk of users being phished, enterprises have invested in security awareness training programs. However, it only takes one user mistake to turn a phishing attack into a major security incident. With Phishing Threat Monitoring & Forensics, suspicious emails reported by users are analyzed in real-time by PhishLabs’ 24/7 Security Operations Center (SOC). When an attack is detected, threat indicators are extracted and added to a machine-readable STIX/TAXII feed that can be automatically consumed by client security technologies to block attacks. Through this process, phishing attacks that would otherwise go undetected are quickly found and stopped. As part of Phishing Threat Monitoring & Forensics, threats identified by the PhishLabs SOC can be escalated to the Research, Analysis, and Intelligence Division (R.A.I.D.) for in-depth forensic analysis. This includes reverse-engineering advanced threat payloads and correlating attacks against global intelligence holdings to provide complete threat context. Armed with this intelligence, security operations and incident response teams can take immediate action to counter and mitigate high-risk threats. – expert management of phishing awareness training programs. To learn about how enterprises can transform their users into a powerful layer of defense, download the new PhishLabs white paper, “Best Practices for Enterprise Phishing Protection,” at https://info.phishlabs.com/bestpractices-for-enterprise-phishing-protection-whitepaper. To learn more about Phishing Threat Monitoring & Forensics, visit https://www.phishlabs.com/managedenterprise-phishing-protection/phishing-threat-monitoring-forensics/. To learn more, visit www.phishlabs.com and follow @phishlabs.